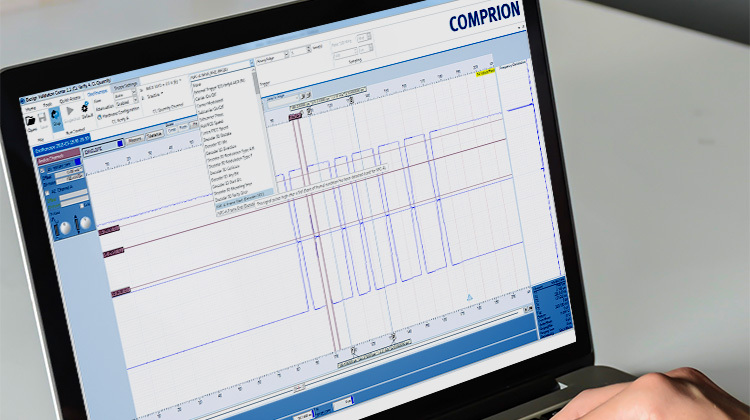 The biggest challenge when analyzing near-field communication is establishing proper trigger conditions that provide a stable display of waveforms. 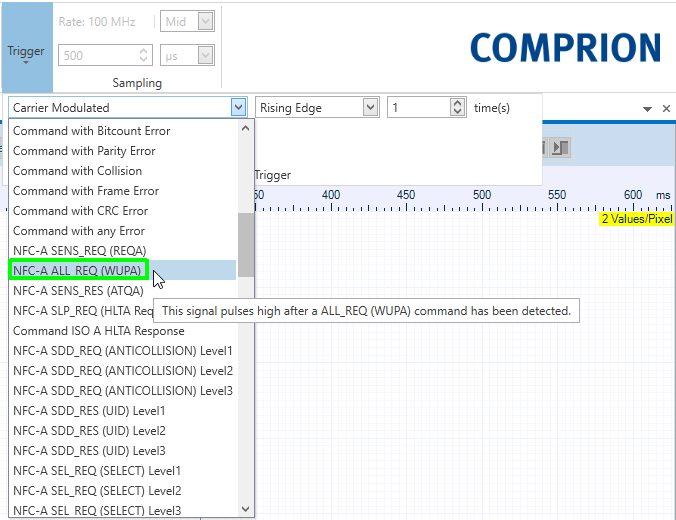 With conventional oscilloscopes, this means “hit or miss”, because you simply use the default edge trigger until you see what you’re looking for. In most cases, this time-consuming method unfortunately misses the relevant phase of the communication. NFC Oscilloscope singularly offers a great selection of NFC and ISO triggers, which are useful for resolving communication issues on the analog and digital level. 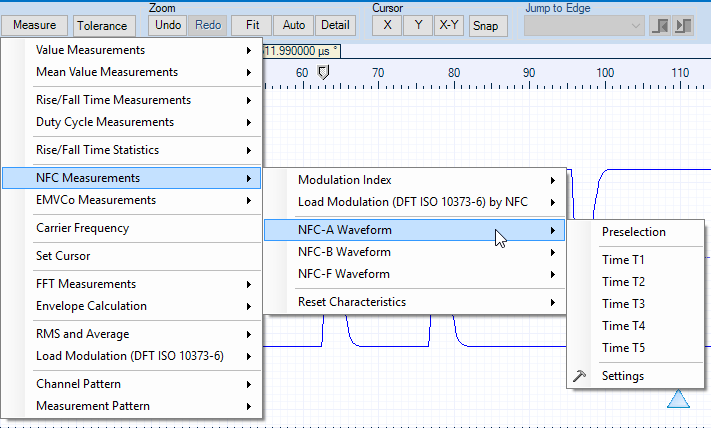 NFC Oscilloscope is part of Design Validation Center, the award-winning software for design validation of NFC-enabled devices. It offers a great selection of NFC and ISO triggers, individual envelope signal calculation, and NFC/ISO measurement features. Instead of investing a lot of time and patience to find analog interference signals in NFC communication, this tool displays the required result or envelope signal immediately. 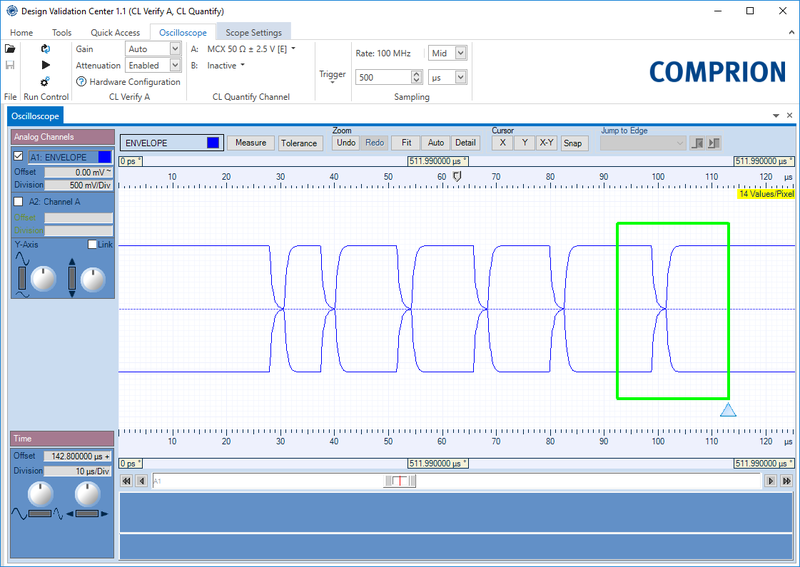 With this simple approach, the test operator can go quickly through a variety of scenarios with different combinations of analog parameters. The offered triggers are based on NFC- and ISO-specific commands or events like NFC frame start/end, or decoder I/O collision. The whole process is fully automatic so that you don’t lose time with manual search or missed tries. With NFC Oscilloscope, the envelope signal is displayed immediately whereas the same procedure with conventional oscilloscopes is time-consuming and in most cases misses the relevant phase of the communication. 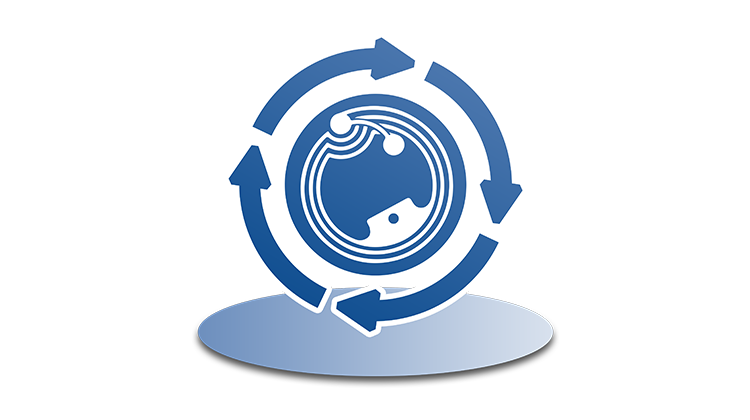 Specific NFC measurements, for example, timings, can be done by a single click. 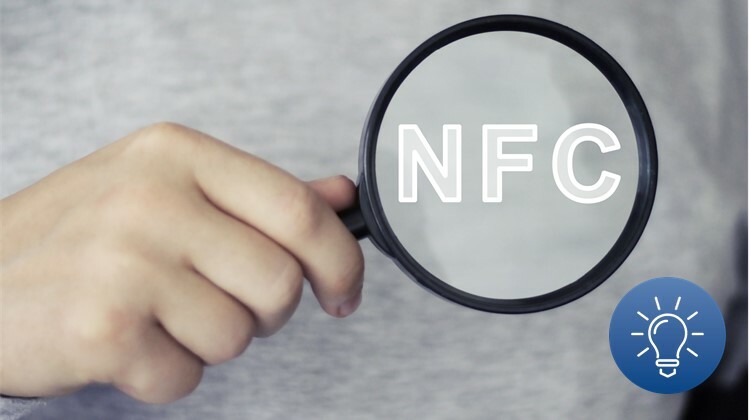 This facilitates the work of test and development engineers significantly, in particular when they want to optimize the design of NFC-enabled devices or resolve communication issues on the analog level. 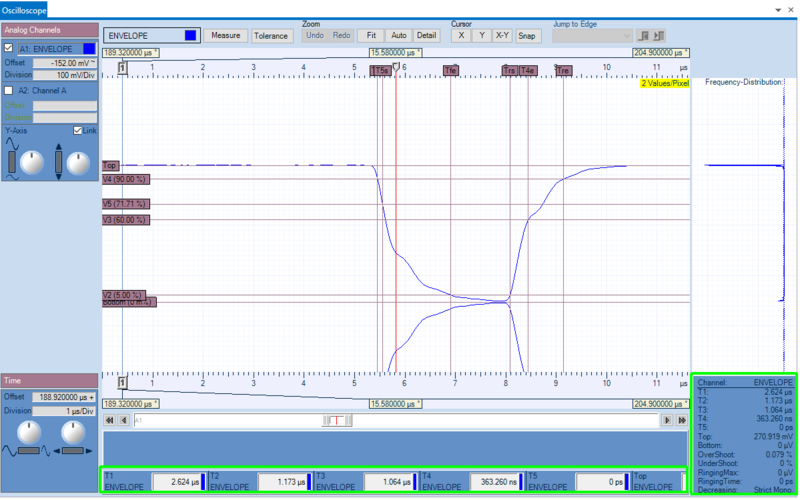 The SESAMES Award-winning software for design validation of NFC-enabled devices – Design Validation Center – has been extended by another unique feature: an NFC oscilloscope.